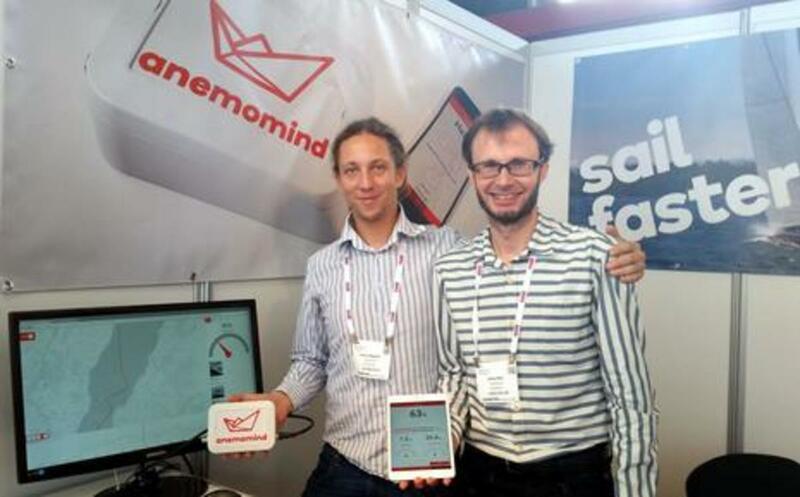 Xavier Righetti and Julien Pilet pose (above) in their first METS stand with the three tangible elements of Anemomind. 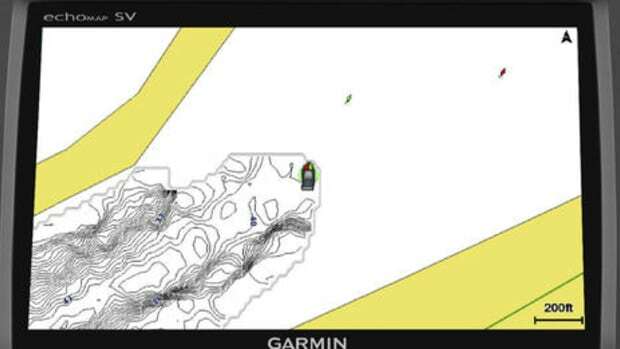 The white box contains a fast GPS receiver plus barometric pressure and 9-axis inertial motion sensors, as well as NMEA 0183/2000 ports, WiFi, Bluetooth, and lots of computing power. 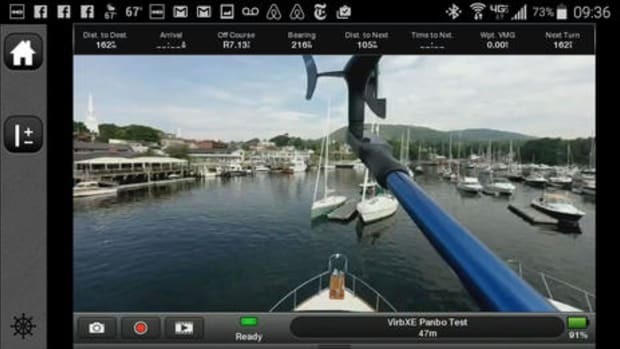 The connected app delivers wind, boat speed, and percentage of target speed attained, and it also passes the data along with notes and photos to the Anemomind cloud for near realtime race analysis. That&apos;s all good, but the special sauce is less tangible. 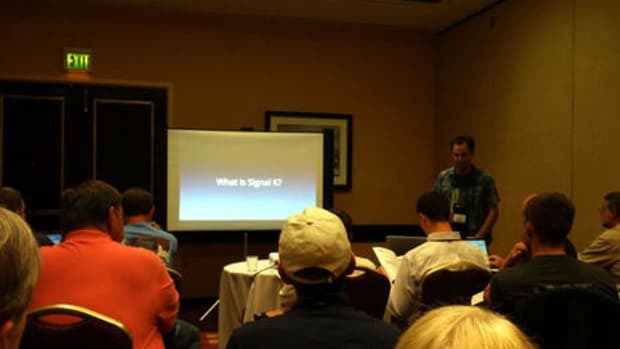 When I asked where a user enters polar data into the system, the grinning Pilet said that isn&apos;t necessary and neither is wind sensor calibration; Anemomind figures that all out and keeps perfecting the values the more you sail! Really? Well, the development team has a lot of expertise in data mining and computer vision, plus the support of their common École polytechnique de Lausanne alma mater. 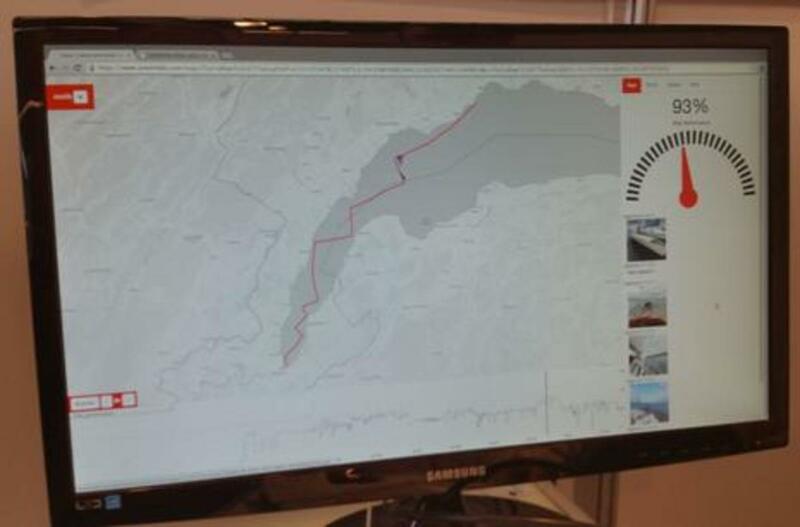 Apparently they&apos;ve also done a lot of beta testing with race teams on Lake Geneva, and Pilet described happy coaches able to access the above detailed graphic log with geo/time synced notes and photos while on the water, and share it with the racers as soon as everyone docked in. Anemomind is still in development and the preliminary system price is high, but the potential seems very interesting. 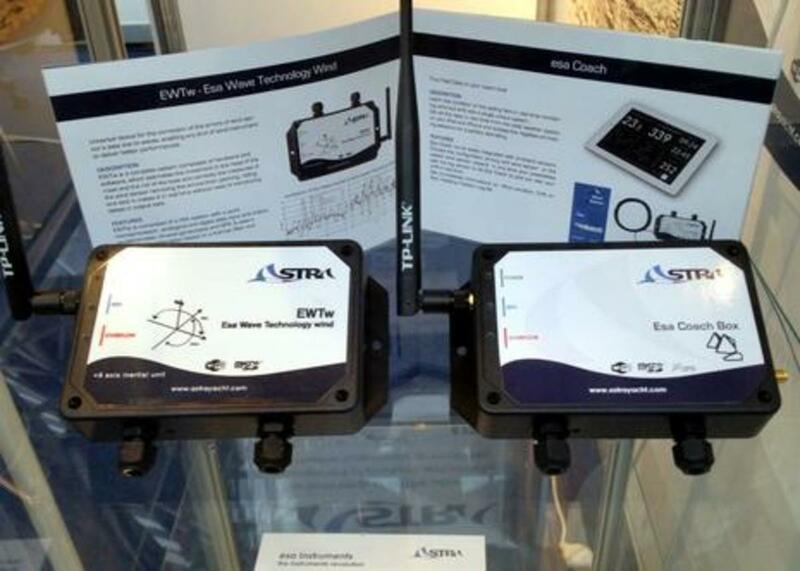 I didn&apos;t speak with the Astra Yacht exhibitors -- METS is huge, and I missed some booths even though I was there all three days -- but they are obviously working with the same potent architecture of sensor boxes, NMEA interfaces, wireless links, apps and cloud logging. 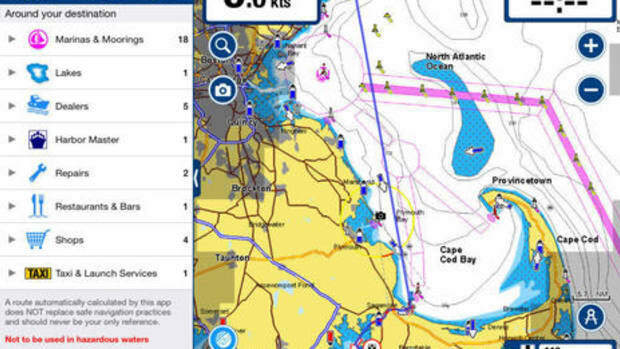 Their Esa Coach Box is just the latest of their performance sailing products, and they even have their own line of waterproof and networked Android sailing watches. LCJ Capteurs is best known for their ultrasonic wind sensors and at METS they showed me some wind tunnel tests that seemed to show their latest CV7 series design as more accurate and more able to handle heel than the competition. The standard output, however, is NMEA 0183 (or USB), though they have offered an expensive CanBus box to do the translation. 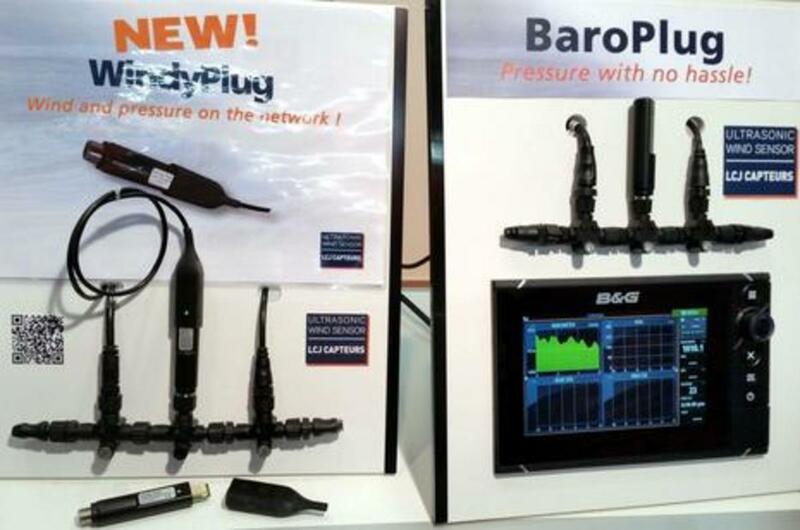 By contrast, WindyPlug is more like the compact BaroPlug that Kees Verruijt liked at METS 2014, including the baro sensor, and it will purportedly retail for about $165 when it comes to North America via Fugawi. I believe it can also be used with other NMEA 0183 Wind sources and when I toured Kees&apos;s super fine cruising sloop on Friday -- that&apos;s going to be a great story -- he said that if he ever put together another complex N2K system, he&apos;d use an analog or 0183 wind sensor to avoid the issues of running a network backbone up a tall mast. 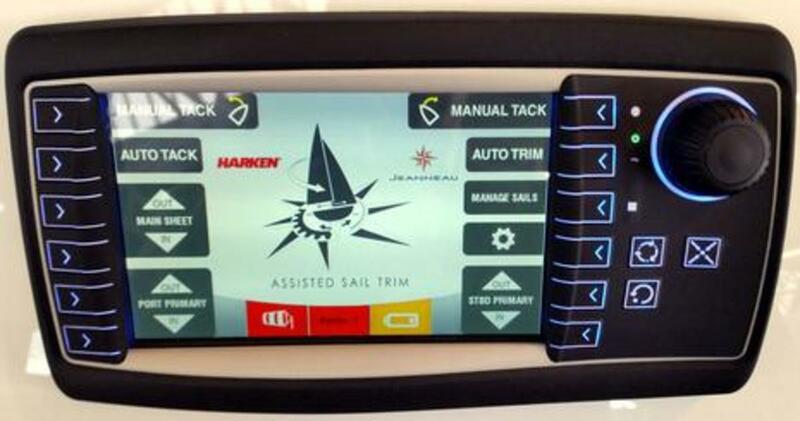 But then again, a thoroughly modern sailor will soon be able to enjoy the benefits of Assisted Sail Trim (AST), which actually seems like a modest title for what Jeanneau and Harken have put together. 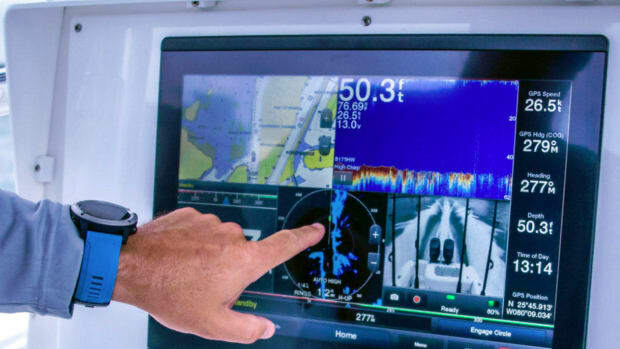 Traditional sailors will no doubt gasp, but this effort to make cruising and shorthanded sailing easier sure looks like thorough automation to me. 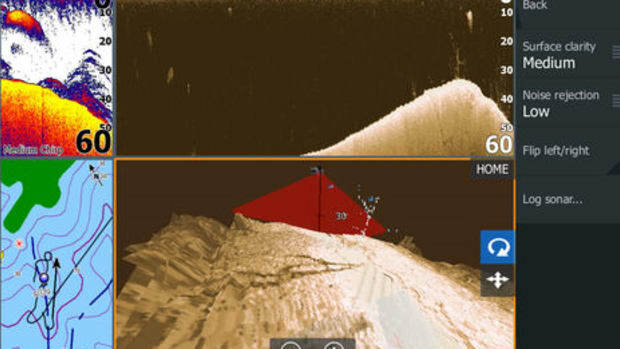 The auto trimming, for instance, can be done based on course changes you make or wind direction changes when the autopilot is set to a fixed heading, plus the main can be auto eased to limit heel. Meanwhile, auto tacking with AST appears to be the fun opposite of doing it with a pilot; you steer through the tack while the powered primary winches handle the sheets. Perhaps app and AST can be combined for completely automated tacks, though the brochure doesn&apos;t mention it. 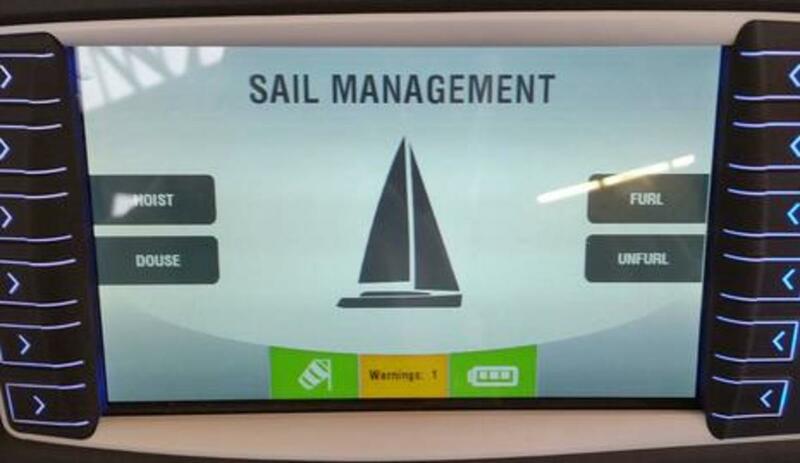 The brochure also doesn&apos;t mention routines for setting or dousing the main and headsail, but I found those features on the demo AST display. 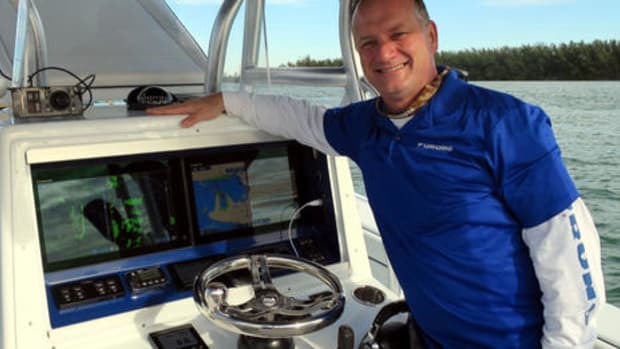 And when I tried to drop the demo main sail, the next screen asked me to confirm that the halyard and lazy bag were ready, vang eased, and reef line clutches open before pushing the knob. 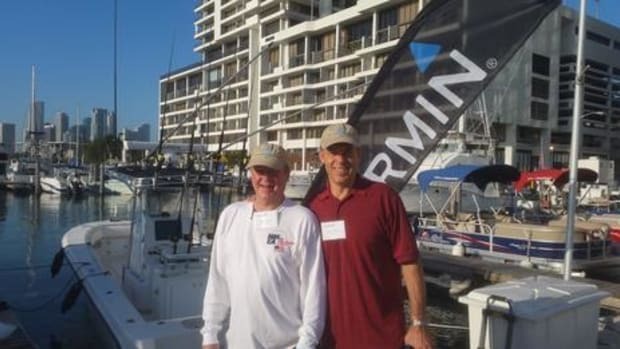 I saw lots of help like that built into the system, as well as warnings about how AST is "ancillary support" not "a sailing control," as well as a general admonition to "avoid personal injury or death." AST will first appear on the Sun Odyssey 519 and will be exclusive to Jeanneau in 2016. I&apos;ll close with the distinctly non-electronic beauty of a fine mechanical steering system. 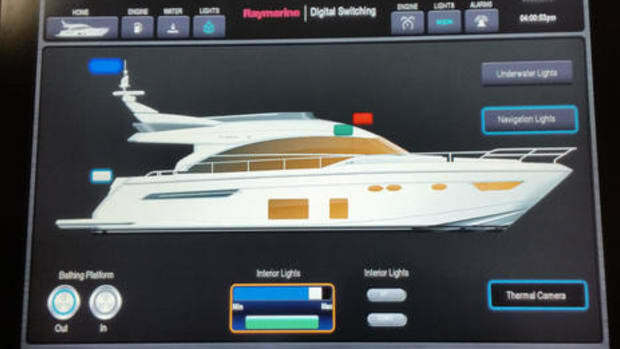 At METS 2015 Edson Marine showed off half of a traditional looking superyacht system, Facebook photos here, that features dual-clutched wheels each with two-speed gearing to the rudder post, so the driver can manage the large rudder pressure at speed but also manuever quickly around docks. You can see the gear-changing ram at the back of my photo, but you need to be there to feel how silky smooth it all operates. 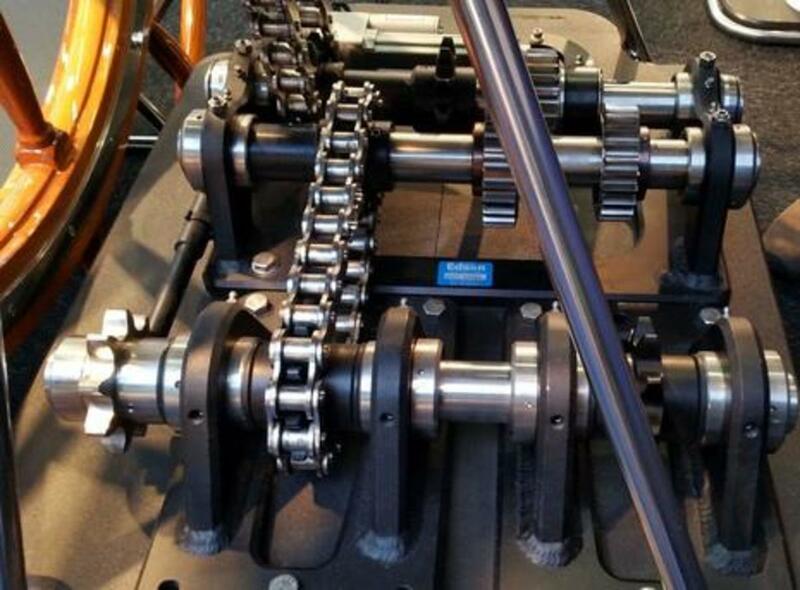 Will Keene, who once gave me an Edson tour in New Bedford, told me how the gear fit and polish meet high AGMA standards, but the killer detail is how the middle shaft bearings are set in their frames with a slight eccentricity. If the gears ever do wear -- which certainly won&apos;t happen fast since they start with near zero slop -- it just takes a little wrench work to tighten the system. I was impressed, but a much more significant endorsement of Edson expertise is their latest superyacht commission, which includes 27-inch diameter rudder posts (PDF here) and an owner who apparently wants to feel those rudders in action!